Are you experiencing email overload? If you are then I’ve got news for you—there are plenty of business owners (and people in general) that are suffering from this problem. Furthermore, it doesn’t help that there are more than 100 billion emails sent per day. For the majority of business owners, email is the primary means of communication with clients, business associates and—is the fastest way to send and receive messages with the click of a mouse. Though email is a great tool for business communications, it is also one of the areas a lot of entrepreneurs struggle to keep in check and get away from. A Yahoo! 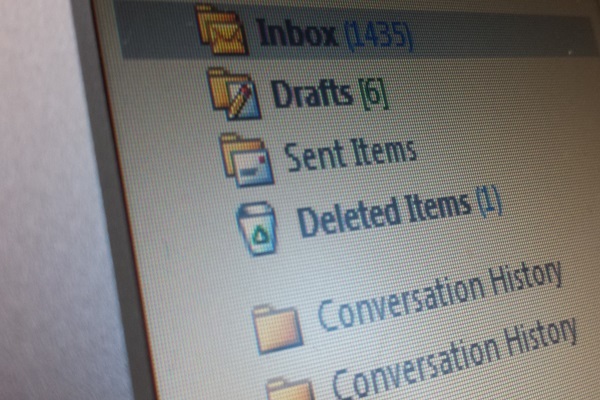 survey found that one third of all people would rather clean their toilets than clean out their email inbox. The average user spends about 1 hour and 47 minutes using email. 62 percent of people admit they regularly check work email over the weekend and 50 percent admit to checking work email while on vacation. Seventy eight percent of this is done using mobile devices. To add to this, last month, Entrepreneur.com published an article written by Nina Zipkin that stated that email is one of the top productivity killers for entrepreneurs. Use notification management tools like IFTTT (If This Then That) – This tool allows you to setup a sequence of events that will trigger a certain action. If you use Gmail like I do for business communications, you can use this IFTTT and integrate it with your Gmail account to send you alerts for high priority email notifications. Use inbox management apps like Sanebox: One of the most popular tools for email inbox management apps for email is Sanebox. Sanebox is basically a gatekeeper for your email. This app will only allow emails from people that you have communicated with before to land in your inbox and will file away everything else. Invest in “priority” email alerting and notification apps like Awayfind: Awayfind is a paid service that much like (IFTTT), allows you to setup customized email filters that will alert send notifications to your phone when you receive urgent and high priority email messages. Awayfind works with Gmail, Outlook, Yahoo, IMAP and even can be setup for SMS alerting. I hope that the tools mentioned in this post will help you get more organized, productive and will help you get away from constantly checking your emails during your work day.